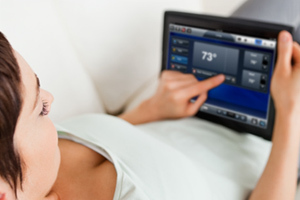 We offer state-of-the-art automation packages with simple touch-screen controls customized to your needs. For example, you could play dinner music, dim the lights, close the blinds, turn on the fireplace, and start the oven at a pre-scheduled time or with a single tap of a touch screen. 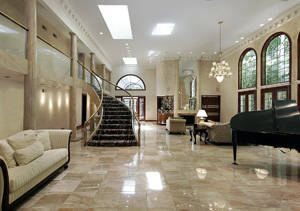 Bring the excitement of the movie theater experience home (without the sticky floors) for less than you would expect. With home theater product manufactures engaged in heated price wars, there has never been a better time to create the home theater of your dreams affordably. 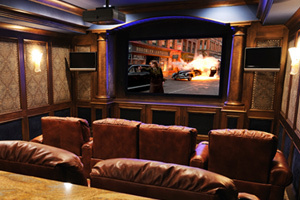 And if you are not looking for a full-on theater, AFS can help you create media rooms to match your needs and budget. 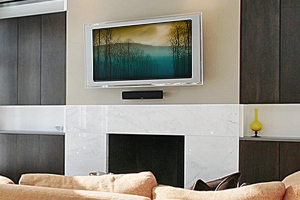 Whether you’re looking for an aesthetically seamless installation of a large LED TV over the fireplace or simply want that perfect surround sound experience, we can make that happen. Television size & features, speaker selection and setup, component capabilities, remote control programming, are just some of the variables we harmonize to tailor your Media Room to fit your needs and life style. Some homes dont have the space or require a dedicated home Theater. You can convert an existing family/living room into a Media room by adding components that allow you to relax & watch a show or connect with your friends & colleagues with the latest technology at your fingertips! If your family is like mine, there are as many different tastes in music and movies as there are people under one-roof. With AFS designed whole house audio and video solutions, everyone can listen to their own music and watch different video sources in any room of the house, all orchestrated through one easy-to-use, centrally located system. Just imagine, crystal-clear audio and high-definition video everywhere you want it and no more arguing over what to watch on TV. Our systems allow our customers to spend more time relaxing, and less time and frustration bothering with complicated audio/video systems and components. 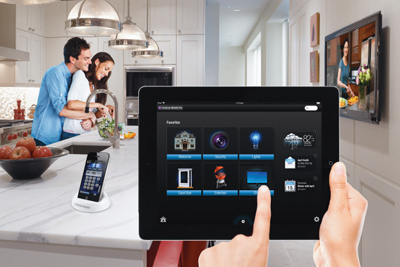 An easy-to-operate user interface provides intuitive touch control over the entire system. 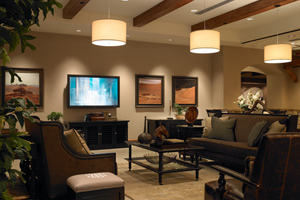 We offer highly advanced lighting control systems specifically for homes. Lighting control systems provide energy savings by intelligently providing light where and when light is required and peace of mind by allowing you to set up variable time-based schedules to confound would-be robbers. Our energy management solutions are all about green – both for the environment and for your wallet. Whether your home is powered by conventional energy sources or by locally generated renewable solar or hydrogen fuel cells, AFS energy solutions enable you to monitor and control your energy consumption (air conditioner, lights, electronics, and some large appliances) or generation (solar panels, hydrogen fuel cells) so you know exactly what to expect the next time you get your utility bill. 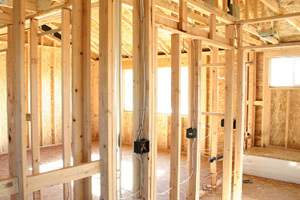 A structured wiring system differs from the typical range of dedicated, earlier generation telephone and cable/satellite TV wiring run throughout the house. Rather, it is a systematically designed wiring plan which supports multiple systems and is installed according to very stringent guidelines. Our structured wiring packages are designed to bring together each subsystem into one fully automated system — while easily accommodating future upgrades. Nothing is more important than your family’s safety and security. 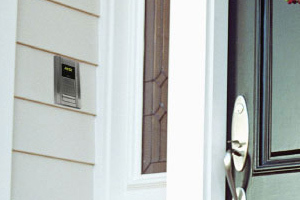 AFS designed security systems provide enhanced comfort, safety and convenience. All installations are performed by qualified personnel who are fully trained in both fire and security solutions, enabling you to rest easily knowing that your family and possessions are safe and secure. 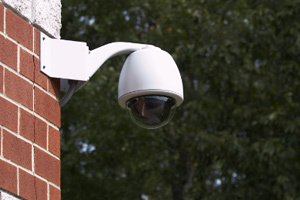 Monitor and record activity on your property with Closed Circuit Television (CCTV). If you’re curious about suspicious activity or would like the convenience and piece-of-mind of viewing who is at your front door no matter where you are when they arrive, then a CCTV camera system might serve your needs. AFS designs solutions optimized to achieve your surveillance and security monitoring needs.